As the city has emerged as one of the significant financial hub in Northern Europe, employment opportunities has also increased. To enhance professional's skillset working in big organizations KnowledgeHut academy is now providing 2-days Instructor-led classroom training on Leading SAFe 4.5 course in Tallinn. The training is designed in a way to make the professionals understand the Hows and Whys of Agile. Opting our Leading SAFe 4.5 certification in Tallinn will ensure professionals should be able to cope with the transition of enterprise?s fundamental business process. With the completion of the training professionals will be able to lead agile transformation within their enterprise using Scaled Agile Framework and its underlying principles of flexibility, lean thinking, and product development flow. There are few major takeaways from our Leading SAFe 4.5 training in Tallinn - measuring the impact and progress of Scaled Agile in a program, describing how a program interacts with Program Portfolio Management (PPM). The entire modules of Leading SAFe 4.5 course is devised in a way to enhance one?s understanding of Scaled Agile Framework. 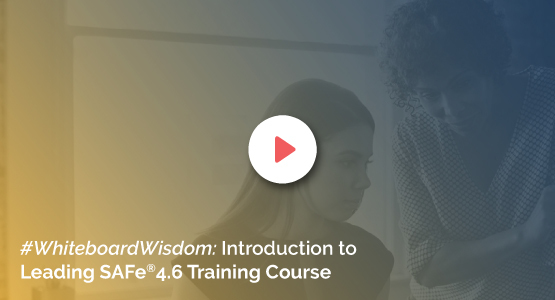 The course is based on version 4.5 of SAFe and it has been majorly targeted to the professionals including executives, development/QA/program managers, change agents (coaches). The entire module of the course is officially authored by the Scaled Academy along with free reference materials on Scaled Agile Framework will be provided to the professionals.